The Risco WiComm Wireless Smoke and Heat Detector combines advanced technologies within a compact and streamlined design, the ideal choice for homeowners seeking the highest safety standards. 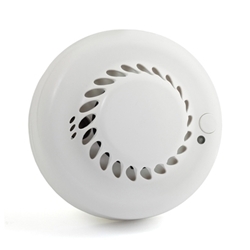 With both smoke and heat detection capabilities , the Smoke and Heat Detector offers a more sensitive and dependable product for early detection of fire hazards in different environments with a reduced risk of false alarms. For use with the Risco WiComm Internet/Cellular Security System.